While your teen may think it's fine to wait until the last possible second to complete her high school science lab or her math project, procrastination can be a big problem later in life. She may find that waiting until the last second means an unexpected illness, emergency, or problem will prevent her from getting her work done. Her future boss or college professors aren't likely to accept late work—or the excuses that accompany delayed projects. Teens who don't learn time management skills are at risk of becoming lifelong procrastinators. And waiting until the last possible minute to get things could cause problems ranging from high stress levels to relationship trouble. It's important to teach your teen how to behave responsibly. That means managing her time wisely without requiring constant reminders or assistance from you to get her work done. Reduced anxiety when projects are due in school or test dates are approaching. More time for family and friends. Better performance at work and school. More opportunities to relax and unwind. Teens usually have fairly structured schedules. Their school day and their after school activities are planned out for them. As a result, many of them don't learn how to manage their time wisely when they have some downtime. Model good time management habits. 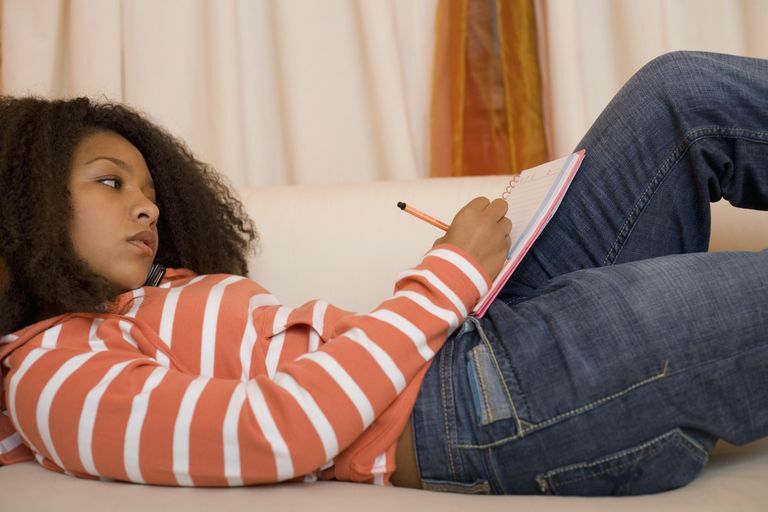 If you're always running late or you miss a lot of deadlines, your teen will follow suit. Practice managing your own time wisely and show your teen that you can accomplish the most important tasks in any given day. Give your teen time management tools. Whether it's a planner that your teen writes everything in or an app that manages your teen's schedule, help your teen find the tools that will work best for him. Talk about the importance of creating a schedule and using lists to prioritize his time wisely. Encourage your teen to write down his schedule. Your teen's time may easily get taken up with video games or social media if he's not careful. Teach him to schedule his day so he can set aside time for chores, homework, and other responsibilities. Encourage him to schedule free time as well, so time doesn't idly pass without feeling like he hasn't done anything fun. Help your teen prioritize activities. It's common for teens to have conflicts in their schedules. A basketball game, birthday party, and church activity may all coincide. Talk to your teen about how to prioritize activities, based on his values and commitments. Encourage your teenager to develop routines. Encourage your teen to establish healthy habits, like doing his chores right after school. Once he gets into the routine of doing things in a certain order, he won't have to waste time thinking about what to do next. Avoid nagging. It can be tempting to nag your teen or offer repeat reminders. But, telling your teen to do his homework or his chores over and over again, reduces his responsibility. Set rules about your expectations and follow through with consequences when necessary. Then, your teen will learn to manage his time better in the future. Set limits on electronics. Your teen may waste countless hours on social media or playing video games if she's not careful. Establish rules that help her create healthy habits with her cellphone and other digital devices. Encourage her to set goals. Talk to your teen about personal goals she wants to reach. Then, help her identify how much time she'll need to work on that goal each day. Whether she wants to exercise for 30 minutes 3 times each week or she decides to apply for scholarships one Saturday afternoon each month, goal setting is a great way to help her manage her time. Encourage your teen to practice time management skills. There will be times that she's going to miscalculate how long a project will take or days when she forgets a deadline. Help her learn from those mistakes, and remember, Rome wasn't built in a day. Janeiro IN, Duarte AM, Araújo AM, Gomes AI. Time perspective, approaches to learning, and academic achievement in secondary students. Learning and Individual Differences. 2017;55:61-68.